dance.net - African Music for dancing (5158922) - Read article: Ballet, Jazz, Modern, Hip Hop, Tap, Irish, Disco, Twirling, Cheer: Photos, Chat, Games, Jobs, Events! 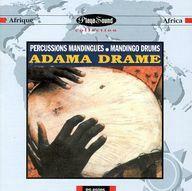 -The drummers of Burundi, 1992, Real world records. Founded in 1996, Dance.Net is the leading online dance community with over 200,000 members from the US, UK, Ireland, Canada, Australia, New Zealand and all over the world. Learn more. Reach dancers, teachers, choreographers, studio owners, dance moms, and everyone passionate in dance through Dance.net! Advertise now. Powered by XP Experience Server. Copyright ©1999-2019 XP.COM, LLC. All Rights Reserved.